And that’s not just some crazy notion. Being “beautiful” for a woman has come to mean being successful, powerful, or important; being “beautiful” in our culture means that you exist. If you are “beautiful,” there is the promise that things will happen in your life: you will have adventures, excitement, love, and admiration. If you are fat, you may as well be invisible, right? I get that. You want your daughter to be popular, you want her to have friends, you want to spare her unhappiness. But here’s the problem. It’s all a big lie, because what’s really happening is that you’re setting Bea up for a lifetime of enduring a distorted relationship with food, you, her own body, success, competition, power, and love. It’s clear from your article that you have an eating disorder. You are still sick. In your NYC subculture, your behavior may even be “normal,” but it’s not healthy. You’re obsessed with food and weight. Your disease is contagious, and you’re passing it onto your daughter. The best way for you to help Bea is to stop focusing on her and start focusing on getting yourself better. I know you have a book deal now. It’s going to be so damaging to Bea if you keep writing about her weight publicly this way. If you are really going to write that book, please consider really researching this topic. There is an excellent book called Preventing Childhood Eating Disorders by Jane Hirschmann. The whole book is about intuitive eating: letting kids eat what they want, when they want. It would be a great program for Bea. They also help adults. Jane Hirschmann is based in NYC. When candy and sugar came into her world, all hell broke loose. But, of course it did. She’d never seen it before. All of your anxiety and control around food would make any kid want to break free. The Hirschmann book teaches you how to do something completely different than monitoring your kid’s every mouthful. It teaches parents how to let their kids trust their own bodies. And once kids get to do this, the practice goes much deeper than trusting their bodies: it becomes about trusting their intuition, themselves, looking inward for guidance instead of outward for direction and approval. What if no one is? My kids are allowed to eat candy whenever they want, all year long. Halloween is not a big deal to them. They eat a couple candies and forget about it. Candy is not forbidden to them. It is not a prize or a reward. It’s not even a dessert. I learned all of this from Hirschmann’s book, and it works so well. Hirschmann also wrote a book for adults that I used to get better from bulimia (along with a program in San Rafael, CA called Beyond Hunger which is similar to Hirschmann’s program in NYC) I am 100% cured from my eating disorder. I am not “sick for life” as I was told I would be by so many therapists. Now I never think about food except when I’m hungry. I eat whatever I want. My weight is normal. After I had three daughters, I wanted to make sure not to pass any sickness I may not have been aware of onto them; I am bringing them up based on Hirschmann’s book, and I’ve written about this extensively on my blog. Your identity is completely entwined with your daughter’s through food. What about what you want to eat? What you’re hungry for? Eating your daughter’s food and portions is not good for you; it won’t protect her or help her. It will confuse her. Bea is seeking approval and love from you through what she eats and what she tells you about what she eats. She is also using food to rebel against you. This kind of behavior is dangerous, and it’s at the heart of the sickness. Her eating disorder is not about food; it’s about her relationship with you. But it can be, if you get yourself better, for her, at least. You don’t need to live with your food obsession for the rest of your life. Is that really an accomplishment? That she takes “enormous pride” in her appearance? She is being set up for a life of rating her success, value, and her mother’s love for her based on what she eats, what she weighs, and how she looks. Again, is Bea’s weight about Bea or about you? Though Bea lost weight, your obsession with that is making her unhealthy in a multitude of other ways. What would happen if you risked letting that obsession go? Again, I know you love your daughter. I know you’ve been criticized for what you’ve done, and that it seems like everyone is always telling mothers what to do; we can’t get it right no matter what. But I’m writing you because you wrote about this publicly and from your article, it is so obvious to me, as someone who has recovered from an eating disorder and also has three daughters, what is happening. Please at least, check out the book and see what you think of it. I am 11 and my philosophys some adults don’t understand. But one that we all might get is eating healthy. Read the ingredients, if their are nitrates, nirites, MSG, gelatin, vallin and stuff (crap) in it…. Well I don’t get it. My family buys Applegate meats and organic veggies. I am huge into skiing (we in town/village by a state owned ski resort). Also I fence (with swords, not chicken wire) and rock climb (I can climb very well for my age). I believe don’t feed your body things that you can’t pronounce (matodexin is ok, it’s natual). Why I’m so hyped up on crap about this is because I am allegic to nirates/nirites/fake dye and vallin. Also I got sick for 10 days after having a Yogurt with aspertame. Update: I am nowhere near beautiful, I’m quite hideous! But I don’t care. I wear nerdy clothes and such, because I want to show I don’t care! AMEN! I was astounded at that article and have been trying to form my own thoughts on it to make Vogue aware of the severity of that damaging information. Thanks for posting! Margot, I am absolutely impressed with your evaluation of the situation. I am really, truly thrilled to see someone break it down in this fashion. This makes me want, more than ever, to see her book deal squashed. I am so fearful that she will end up teaching other moms how to control their food and their children in such desperately sick ways. You brought me to tears with your assessment and plea for her to recognize her own illness. Bless you. I hope she sees this, reads it, and takes every word to heart. You get it; you really do. Thank you. Also, your compassion for her in an era when simply bashing someone is rampant is wonderful. Thank you for rising above the bashing. I do feel compassion for her, she’s ill. She CAN get better. thanks for writing a response to the article!the focus should never be on weight, it should be on health! there are plenty of skinny girls who are less healthy than the bigger girls. 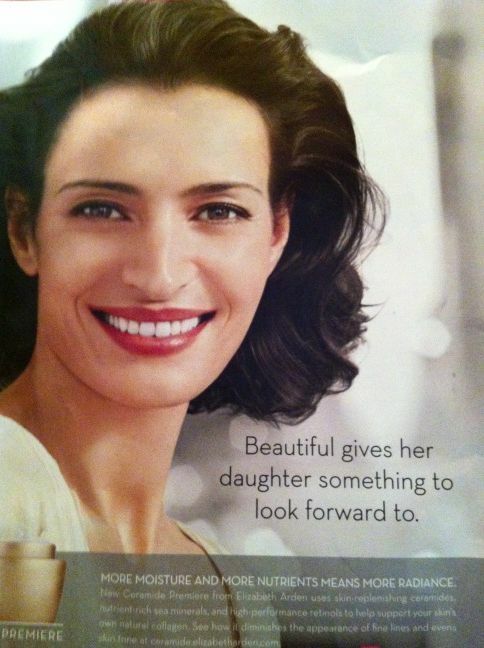 as long as your child is healthy, who cares what she looks like? Totally agree skinny doesn’t mean healthy! Skinny could mean chain smoker or couch potato or anything, not evn to mention spiritual and emotional health. Brilliant article. I started to really mess with my kids eating and food while I was still dieting like crazy and had extremely disordered eating. It really screwed them up. 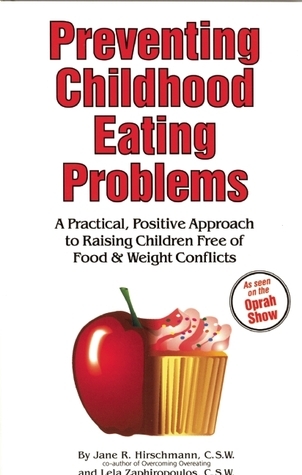 I used Ellen Sattter’s books and Intuitive Eating to sort the kids and myself out. I couldn’t have helped them before I had helped myself with my own food and body image issues. I am now so much healthier and my relationship with food is finally pretty normal. My kids are 100% healthy. They have no obsessions with food types, easter is here and they aren’t that fussed about the chocolate. I would never put them on a diet and would never let them go on one. The going on a diet is the biggest indicator of future weight gain. I feel bad for the Mother in this article because I’ve been there. She needs help to sort herself out or she will continue to hurt her child. I am so glad you got yourself healthy. Good for you. Totally agree with everything you wrote. It’s both amazing and that she is insightful enough about her behaviour to assess it and write about it, but doesn’t see how unhealthy and damaging it is. This is just sad! I think what she is doing is bordering on child abuse.